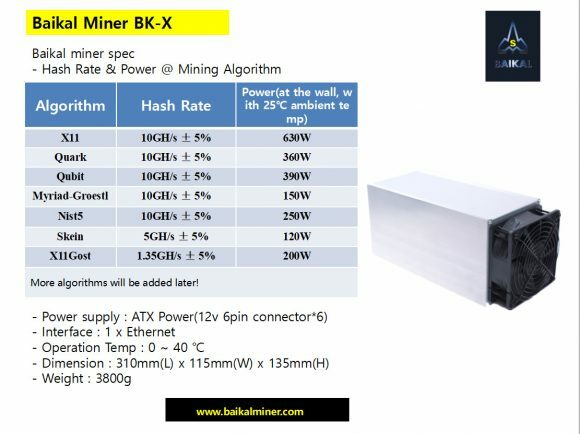 The Baikal Miner BK-X ASIC miner has received an update adding support for two more crypto algorithms, namely Nist5 and X11Ghost, bringing the total number of supported algos to 7 with more promised to be added later on. The Baikal Miner BK-X was originally introduced as Baikal Giant X10 and it had support fonly for X11, Quark and Qubit algorithms, but since then support for Myraid-Groestl, Skein and now Nist5 and X11Ghost has been added with even more apparently coming. 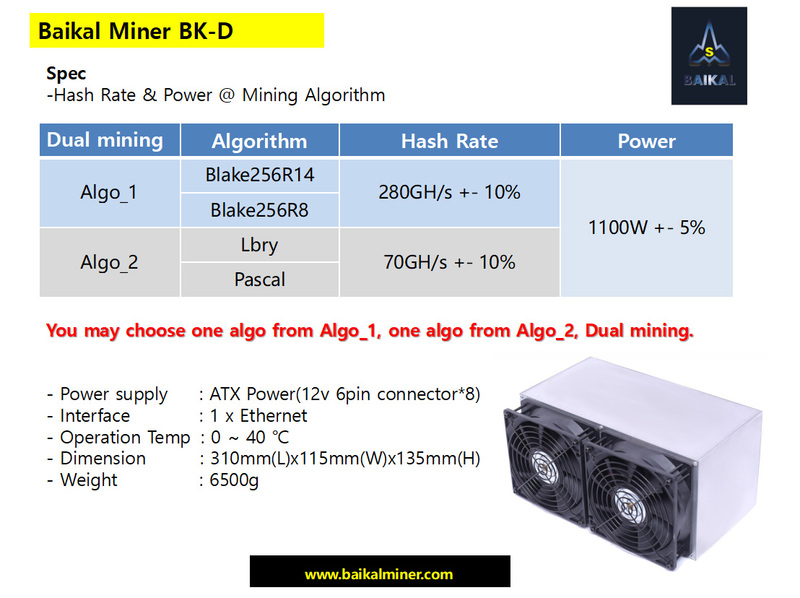 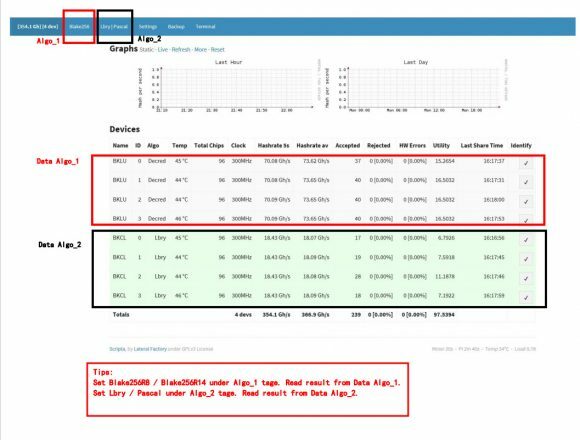 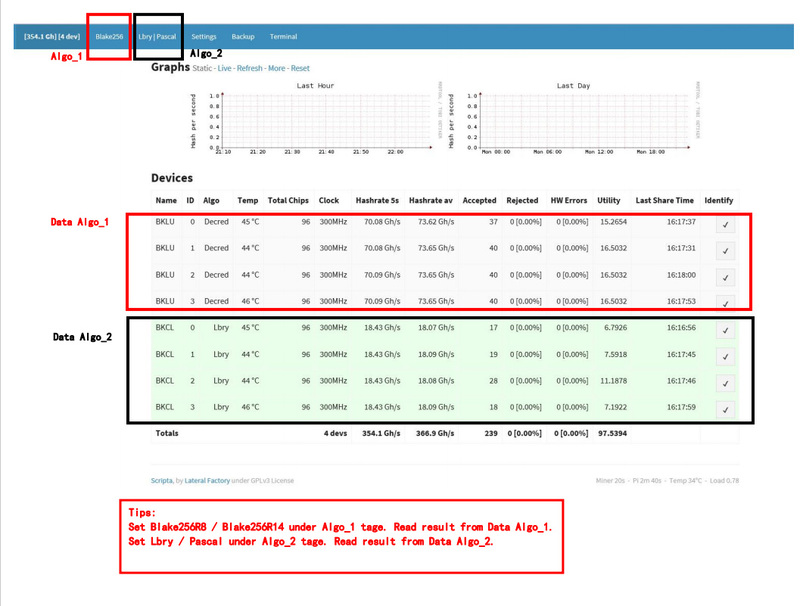 In order to get access tot the two new mining algorithms you will need to update the OrangePI Zero controller that the miner uses to the new version 1.2 on your Giant X10 or BK-X ASIC miner. 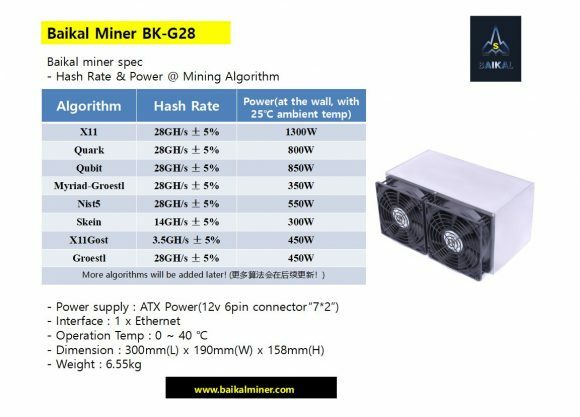 On a side note Baikal Miner has been running some “crazy” sales on their other two ASIC miners, The Baikal Miner BK-N for Cryptonight and Cryptonight-lite is in pay 1 get 5 sale ($1900 USD) and the Baikal Miner BK-B for Blake256R14/Blake256R8/Blake2B/Lbry/Pascal is in pay 1 get 2 sale ($2699 USD). This is a hint that there is not much demand for the two devices apparently, especially for the Cryptonight ASIC where the competition is very big and coins have already started switching to the new CryptonightV7 like Monero (XMR) leading the way that is already not mineable with these devices.